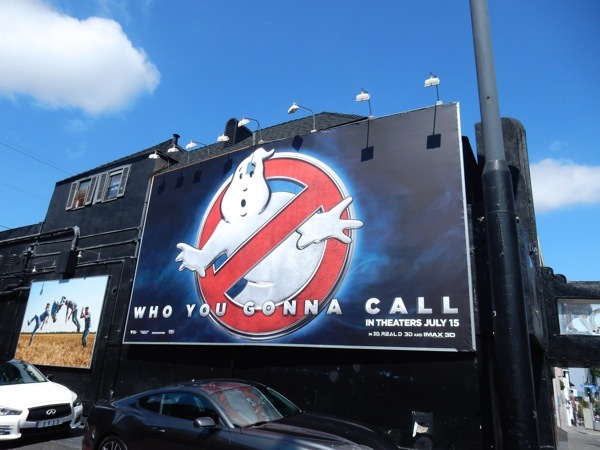 The moment these Ghostbusters 'Who you gonna call' logo billboards popped up in the skies of L.A., Daily Billboard was transported back to the 80s (in spirit at least). 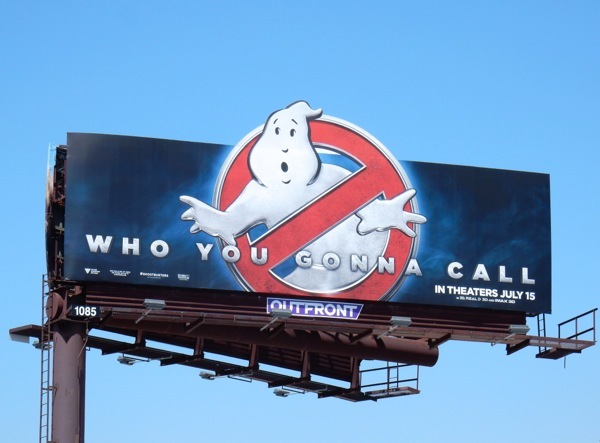 The 1984 original box office smash starred Bill Murray, Dan Aykroyd, Harold Ramis, Ernie Hudson, Sigourney Weaver and Rick Moranis. 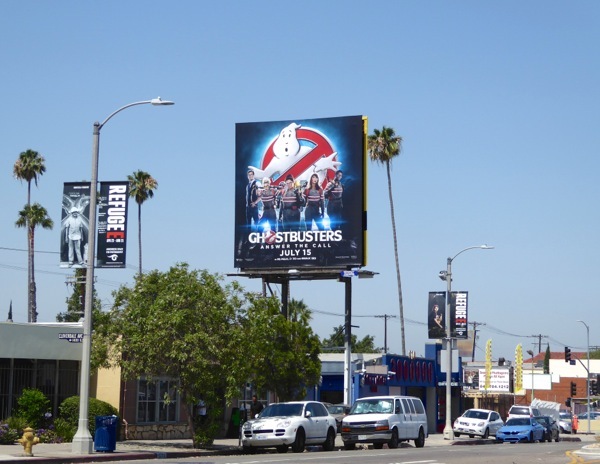 The comedy-horror spawned the 1989 sequel and the spin-off cartoon series, The Real Ghostbusters which ran from 1986 to 1991. 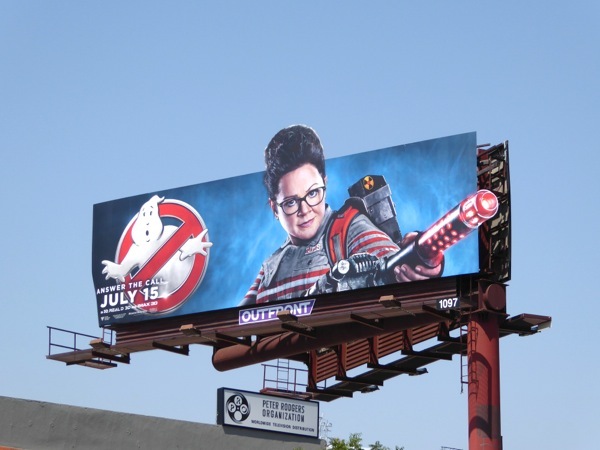 These billboards however are teasing passersby for the all-female reboot of the supernatural comedy directed by Paul Feig. 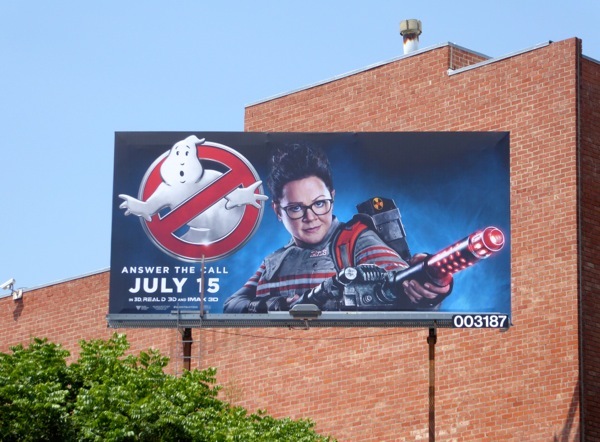 This time strapping on the proton packs to battle a new mysterious evil and a gaggle of paranormal menaces are Kristen Wiig, Melissa McCarthy, Kate McKinnon and Leslie Jones (with Chris Hemsworth on board as their eye-candy receptionist). 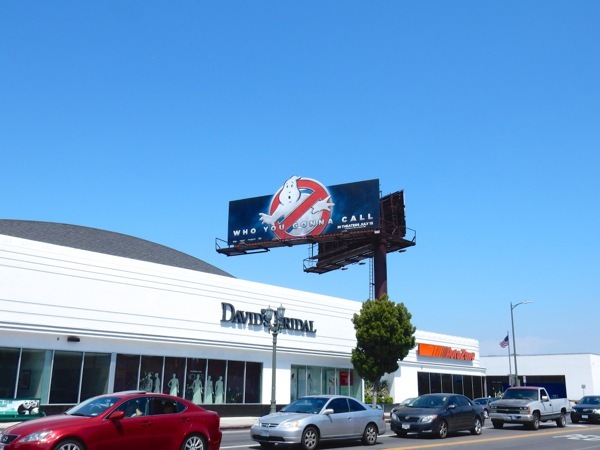 These logo teaser billboards were spied haunting the skies of L.A. along Melrose Avenue, Vine Street, Pico Boulevard and the Sunset Strip from April 27 to May 8, 2016. 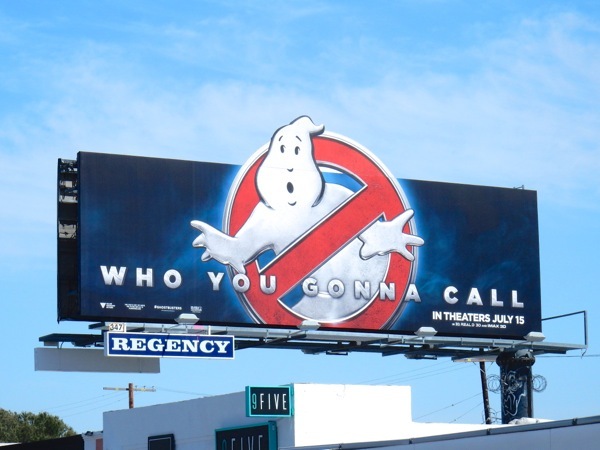 Just a thought, but is the 'Who you gonna call' tagline missing a question mark? 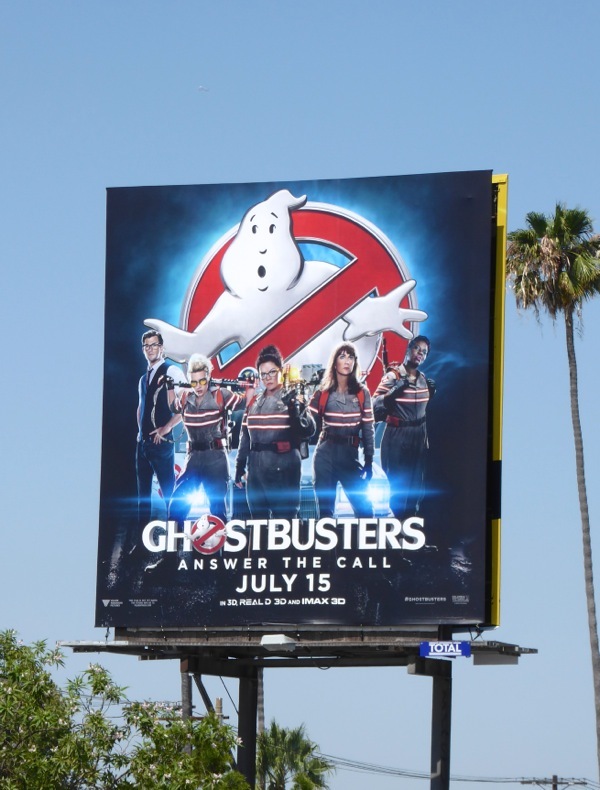 No doubt more cast billboards will follow these nostalgic teasers, so we'll be sure to keep our eyes to the skies for any new otherworldly arrivals in the future. 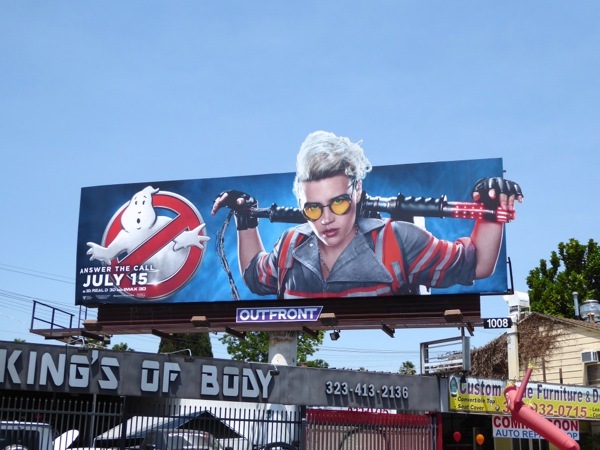 UPDATED: As expected a whole new wave of billboards have flooded the skies featuring the all-female Ghostbusters (along with Chris Hemsworth whose role may be more than an admin assistant if the trailers are any indication). 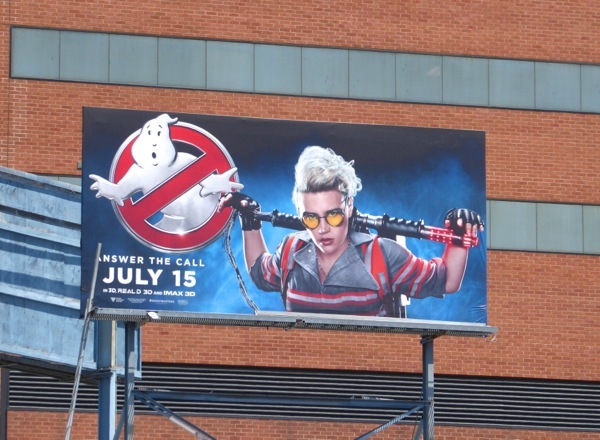 Kristen Wiig, Kate McKinnon, Leslie Jones and Melissa McCarthy certainly look the part answering the call in their uniforms and wielding their Proton Packs. 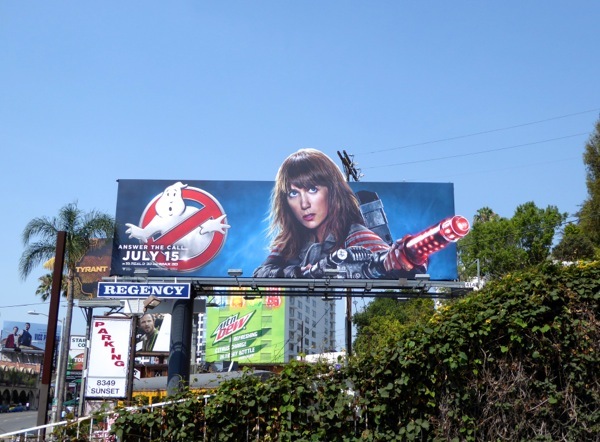 Daily Billboard doesn't understand why there was such a male chauvinist backlash against this project even before they've seen the actual film, and we're not usually a fan of movie remakes, but this reboot looks like it can offer something fresh and different to the fan-favourite originals. 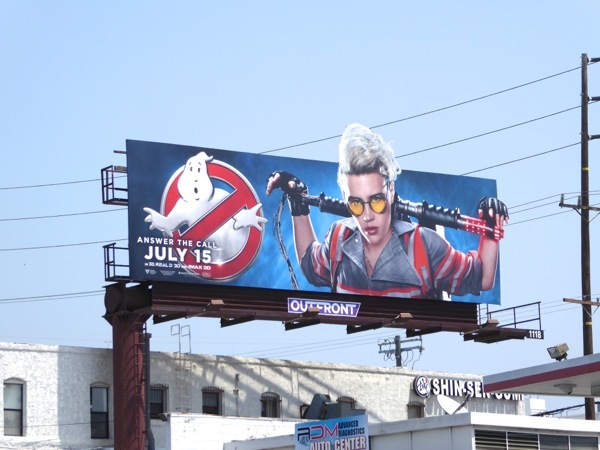 This new installment of cast billboards featuring some cool cut-out character special extensions were snapped around the streets of L.A. from June 22 to June 25, 2016, including along Sunset Boulevard, Melrose Avenue, Olympic Boulevard, Pico Boulevard, San Vicente Boulevard and Santa Monica Boulevard. 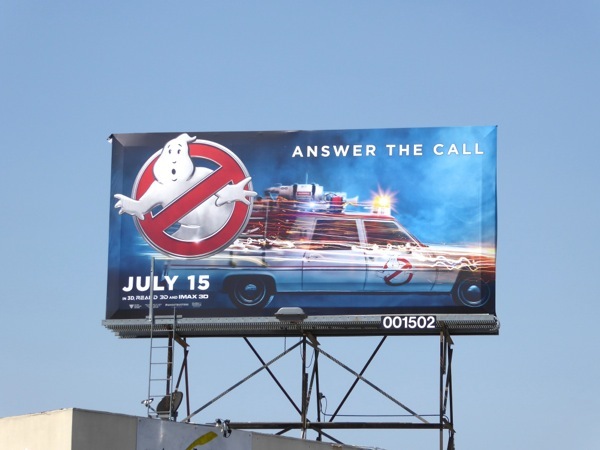 With a new story, new characters, new ghost-busting tech, a new Ecto 1 80s Cadillac Hearse Wagon and a new threat to humanity from the supernatural, what more could you ask for? At the end of the day "you can please some people all of the time, you can please all of the people some of the time, but you can't please all of the people all of the time". 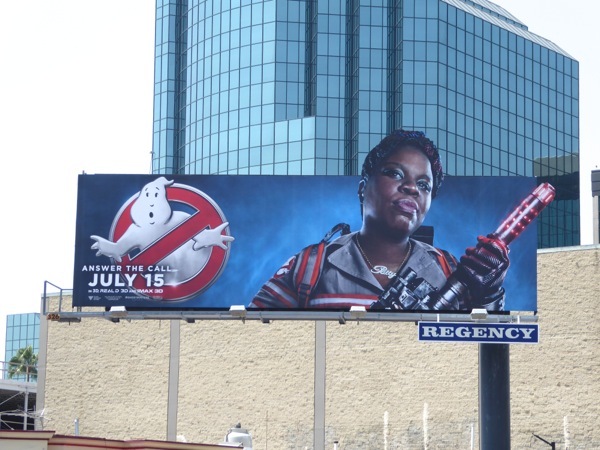 Ain't that the truth. 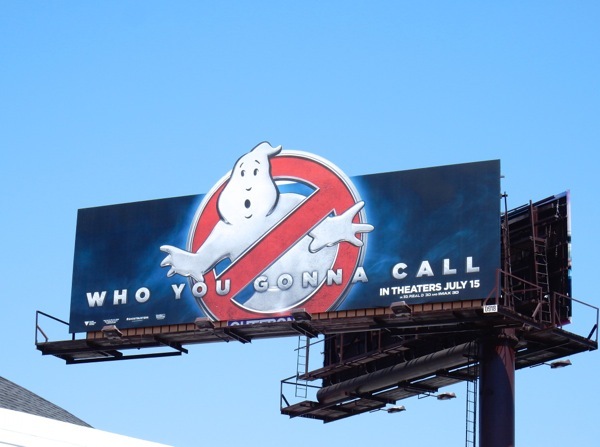 Now, "Who you gonna call?" 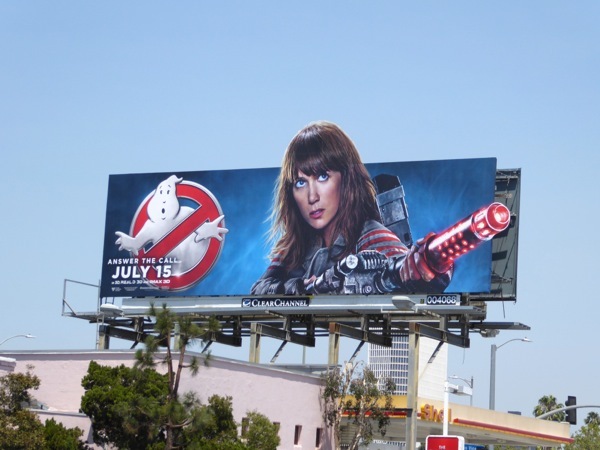 because we could all use a laugh with the state of the world at the moment. 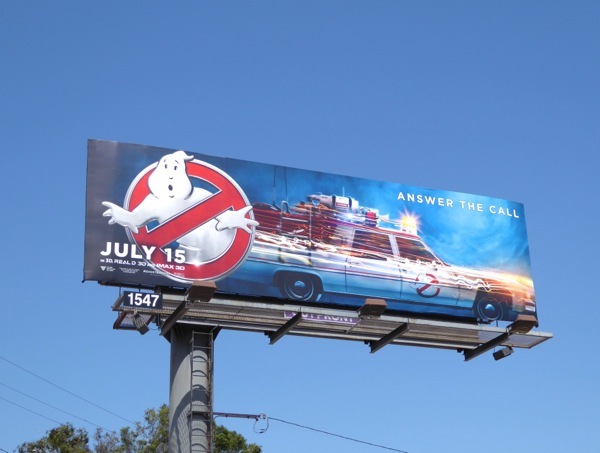 UPDATED: Here's also a standard landscape billboard featuring the team's ride, Ecto 1, snapped along Olympic Boulevard on July 7, 2016.